Thiruvananthapuram, Feb. 24: George Gheverghese Joseph is on a mission to reclaim India’s pride of place in the world of mathematics. An emeritus professor at Manchester University in the UK, his book, The Crest of the Peacock; Non-European roots of Mathematics, has challenged the status quo and persuaded the West to acknowledge that a 15th century Kerala mathematician-astronomer named Madhava (Madhavan, in local dialect) had worked on the fundamentals of calculus — a vital tool for measuring time, making almanacs and finding directions at sea — almost two centuries before Sir Isaac Newton and his German counterpart Gottfried Wilhelm Leibniz were credited as its founders. 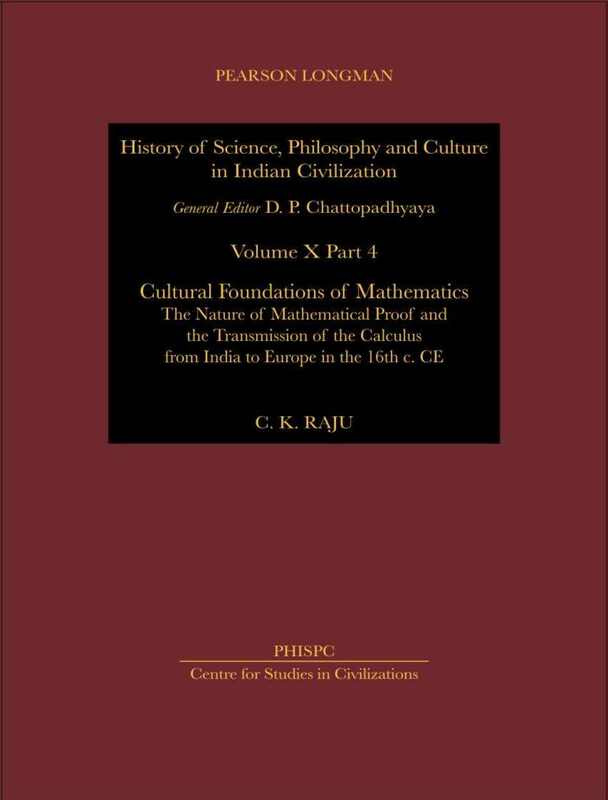 Kerala-born Joseph has some reasons to conclude that the southern Indian state may have served as a conduit for the transmission of Indian mathematics to Europe through Jesuit priests, though the evidence available is more circumstantial. Joseph played an important role in purging the South African mathematics curriculum of its racial overtones post-apartheid but rues that the “colonial mindset” that “denigrated native contributions” and “politics” had clouded India’s efforts to honour its heritage. Question: How did the West react to the conclusions in your first book, The Crest of the Peacock; Non-European roots of Mathematics? Joseph: The perception of the West was a very pleasant surprise. I did not expect so many people to be so receptive to ideas. I think the reason they had not touched upon it earlier is because they did not have the information. The book received over hundred reviews by all sorts of groups. Not just maths educators, even activists reviewed it. What particularly moved me was the extent to which African Americans and Blacks took up some of the things in it after they realised they had a very rich history. For instance, the earliest mathematical artefact is available right in the middle of Africa, but nobody knows. It’s called the Ishango bone which is a type of lunar calendar and dates back to 22,000 BC, much earlier than anything of that sort found anywhere in the world. There were a few critics, but nobody took me on on the maths in it. It was mostly the interpretation. There was criticism that I was devaluing Newton, Leibniz and the Greeks. But all I was saying was that there is that part of history which has been ignored and we need to reflect on. And also, how some of the ideas travelled to the West to, in fact, create the scientific revolution. People who disappointed me were the Indians. Part of colonisation involves a form of brainwashing where you end up defending something because you think you have invested time and emotion in it. I was awarded a Royal Society Visiting Fellowship to deliver a series of lectures in Indian universities. But a number of those I met didn’t either want to know or were very critical. Subsequently, I also noticed that academics has been highly politicised in the country. So I suddenly find my views and conclusions either being approved by the Right who say, look here is a book that shows India is great, or being criticised by the Left, who claim that the book panders to the other side and contains not much of material analysis. Q: What spurred your interest in Madhava? Joseph: I always felt that from the little I knew, the mathematical tradition outside the European tradition was neglected. Even in Africa where I taught for a long time, children would ask me if there was any African link to the evolution of the subject and all I could point out to them were some Egyptian connections. But then the children would say Egypt is not Africa. Later, when I became interested in the work of the legendary Srinivas Ramanujan and had gone to Cambridge in this connection, I met an eminent Newton scholar, Tom Whiteside. He asked me if I had come across the Kerala school of mathematics. I said no. He then referred me to a footnote by him of an earlier Indian researcher who had with his collaborators written extensively on the work done in Kerala on the infinite series. Whiteside suggested that I explore it further and that’s how I discovered the work of Madhava and his disciples. Q: What exactly was Madhava’s contribution to mathematics? Joseph: His works laid the foundations of the Kerala school of mathematicswhich flourished between AD 1,300 and 1,700. But he was only part of the wider Indian school founded by Aryabhata who wrote the masterpiece Aryabhateeyam in AD 499. There are still differences over Aryabhata’s birthplace, whether it was in the north or the south of the country. Madhava’s contribution was his work on the infinite series. Though Newton and Leibniz are credited with the discovery of calculus, the fact is one of its critical strands had been developed in Kerala more than two centuries before that. The West has now recognised this and accordingly renamed certain results relating to the trigonometric series, previously known as the Newton, Gregory and Leibniz series, as the Madhava-Newton, Madhava-Gregory and the Madhava-Leibniz series, respectively. The irony is that we still don’t know much about Madhava, the man himself. An eminent mathematician from Oxford, Marcus Du Sautoy, recently made a series of television programmes on the history of mathematics. I was consulted on those programmes relating to the history of Indian mathematics, including the remarkable work in Kerala. He was particularly interested in finding the physical location of Madhava and his main disciples to add some footage of film. When he asked me I was clueless and somewhat embarrassed. But now I’m told that he hailed from Sangamagrama, a medieval town in present-day Irinjalakuda in Thrissur district. It is a shame that there is no memorial plaque at the place which would certainly attract maths tourists. Q: How do you suggest the knowledge from Indian shores reached Europe? Joseph: That was the subject of my third book, A passage to infinity — Medieval Indian Mathematics from Kerala and its Impact. I had undertaken a project on the topic and what I concluded was that a lot of the knowledge may have reached Europe through the Jesuit priests. We looked at a lot of archives in Rome and Lisbon, mostly Europe. There was no direct documentary evidence to prove this, but this may be because the documents may have been destroyed. A lot of Jesuit papers were destroyed by the Catholic Church at one stage and also there was an earthquake in Lisbon. However, there is strong circumstantial evidence as these priests were sent out with the brief that they should find new ideas on stellar astronomy, how to use the stars for calculations, how they would be of use for navigation. And India, as we know, was at that time much advanced in these areas through works of people like Aryabhata and Bhaskara. These priests used to move around in the court circles in Kochi whose royal family too boasted of astronomers like Sankararaman. Q: Has India been fair to its mathematicians? Joseph: The question to ask isif India would have recognised the work of Ramanujan, a failed college student from a relatively poor background, if he had remained in India. Q: How did you get involved with the curriculum revision committee in Africa? Joseph: Our family had moved to Kenya from Kerala when I was nine years old and I had my schooling there before we shifted to the UK. In Africa, I realised that the curriculum was much affected by racial bias. For instance, Black students were not expected to learn calculus because the apartheid government felt it was too abstract for them. Just before Nelson Mandela became President, a group of us were invited, including me, to help in the reform of the school and university curriculum. Q: What ails maths education in India? Joseph: Firstly, there is too much stress on examinations, that the exam becomes the end in itself and knowing the subject is not so important. Secondly, there is limited opportunity for people to do a PhD in maths (and, even worse, history of mathematics) which is why even the best minds opt for an MBA or move to the IT field. Thirdly, there is not much of an inspiration coming from the teachers because they are dealing with large classes and, in a number of cases, engaged in tutorial work after work. Also, the system of teaching is too didactic — that there is only one right answer and only one right way of doing a problem. 1. ஈசன், லிங்கத்தில் பிரசன்னமான நாள். 2. அடி& முடி தேடிய விஷ்ணு மற்றும் பிரம்மா ஆகியோருக்கு சிவனார் காட்சி தந்த நாள். 3. பார்வதி வழிபட்டு அர்த்தநாரியான நாள். 4. பாற்கடல் கடையும்போது வெளிப் பட்ட விஷத்தை சிவனார் உண்ண… அதை விழுங்கா வண்ணம் தடுத்தார் பார்வதிதேவி. இதனால், நீலகண்டன் நஞ்சுண்டன் ஆகிய பெயர்களை, சிவனார் பெற்ற நாள். (இப்படி விஷம் உண்ட மயக்கம் தீர சிவபெருமான், பார்வதிதேவியின் மடியில் பள்ளி கொண்டார். இப்படிப்பட்ட காட்சியை கருவறையிலேயே காணலாம். எங்கு தெரியுமா? ஆந்திராவில் சுருட்டப்பள்ளி என்ற ஊரில்). 5. அர்ஜுனன் தவம் இருந்து பாசுபதம் பெற்ற நாள். 7. மார்க்கண்டேயனுக்காக, எமதர்மனை சிவனார் சம்ஹரித்த நாள் (திருக்கடையூர்). 9. மகா பிரளயம் உண்டானபோது மீண் டும் உலகைப் படைக்க பார்வதிதேவி சிவ பெருமானை நோக்கி தவம் இருந்த திருநாள். _ இப்படி, புண்ணியம் மிகுந்த நிகழ்ச்சிகள் பல நடந்தது இந்த சிவராத்திரியில்தான் எனக் கூறப்படுகிறது. Format GalleryPosted on February 27, 2014 Categories happiness is in youLeave a comment on மகா சிவராத்திரி நாளில் நடந்தவை! A 2012 study randomly split participants into three diets: all-meat allowed, fish-only, and vegetarian no-meat. The researchers found that after two weeks, the people on the vegetarian diet reported more mood improvements than those onthe other two diets. In the latest study, researchers found that not only do vegetarians have lower blood pressure on average, but that vegetarian diets could be used to lower blood pressure among people who need an intervention. A 2013 study of more than 70,000 people found that vegetarians had a 12% lower risk of death compared with non-vegetarians. With none of the saturated fat and cholesterol that clogs arteries, vegetarians may be at a lower risk for chronic diseases overall. A 2012 study randomly split participants into a three diets: all-meat allowed, fish-only, and vegetarian no-meat. The researchers found that after two weeks, the people on the vegetarian diet reported more mood improvements than those on the other two diets. Another 2013 study of 44,000 people reported that vegetarians were 32% less likely to develop ischemic heart disease. Researchers at Loma Linda University in California studied different versions of the vegetarian diet and cancer risk among people at a low risk for cancer overall and discovered that a vegetarian diet may have protective benefits. Although the study is not the final say on the matter, vegans had the lowest risk for cancers, specifically cancers most common among women, like breast cancer. Studies have shown that vegetarians are at a lower risk for developing diabetes. While the diet won’t cure the disease, it can lower an individual’s risk by helping them maintain weight and improve blood sugar control. Research shows that vegetarians tend to be leaner than their meat-eating counterparts, and that they also tend to have lower cholesterol and body mass index (BMI). Some data suggests that a vegetarian diet can help with weight loss and be better for maintaining a healthy weight over time. People who don’t eat vegetarian can still be very healthy, and a vegetarian diet comes with its own health risks. For instance, research has also shown that vegetarians are at a higher risk for iron deficiencies, and some experts question whether children who are raised vegetarian get the right amount of nutrients for their growing bodies. Making sure you get the right amount of nutrients is important, and keeping your physician in the loop about your eating habits can make sure you’re meeting all the requirements for good health. 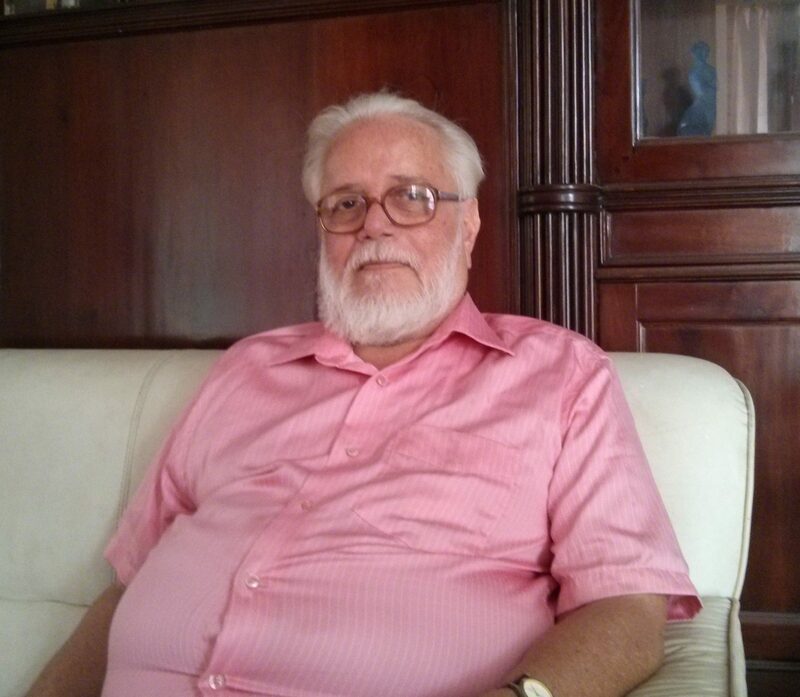 Dr S Nambi Narayanan, the scientist who was accused and then exonerated in the 1994 ISRO spying case, speaks to Rediff.com‘s Shobha Warrier about his continuing travails and his recent meeting with Narendra Modi. S Nambi Narayanan, left, joined the Indian Space Research Organisation as a scientist in 1966, and was instrumental in introducing liquid fuel rocket technology in India in the early 1970s. He and his team also developed the Vikas engine used in many ISRO rockets, including the Polar Satellite Launch Vehicle that took Chandrayaan-1 to the moon. The Vikas engine was used in the Geo-Synchronous Satellite Launch Vehicle too. He was in charge of ISRO’s cryogenics division when the ISRO espionage case broke out in 1994. Dr Nambi Narayanan was arrested by the Kerala police for allegedly passing secret documents to Pakistan. In 1996, the Central Bureau of Investigation found the case baseless and recommended departmental action against the Intelligence Bureau and Special Investigation Team officers who had investigated the case. Nothing of that sort has happened yet. The Supreme Court also ruled that the case was false. Twenty years later, Dr Nambi Narayanan’s fight for justice continues. The scientist and the spy case were back in the news a few months ago when Narendra Modi, the Bharatiya Janata Party’s prime ministerial candidate, met him in Thiruvananthapuram. It was said that Modi met him because of R B Sreekumar’s involvement in the ISRO spying case. Dr Nambi Narayanan had filed a suit for damages in 1999 against Sreekumar, a 1971 batch Gujarat cadre Indian Police Service officer, who was then deputed to the Intelligence Bureau and part of the SIT in the ISRO espionage case. Sreekumar was additional director general of police (intelligence) when the Gujarat riots broke out in 2002. He later charged Modi of being involved in the riots. On Monday February 24, Sreekumar held a press conference, accusing Modi of using Dr Nambi Narayanan to target him. In this exclusive interview to Rediff.com‘s Shobha Warrier at his simple home in Thiruvananthapuram, Dr Nambi Narayanan discusses the spy scandal and reveals why he admires Narendra Modi. Sreekumar told a press conference in Thiruvananthapuram that you were being used by Narendra Modi. How do you react to this accusation? My question is why should Modi use me? He has no need to use me. I want to know why this man (Sreekumar) is uttering lie after lie? He thinks people are not knowledgeable or intelligent. In my opinion, he is desperate. The most important thing you should know is that I filed the damage suit against Sreekumar in 1999 when Modi was not even the chief minister of Gujarat. I have a genuine complaint against Sreekumar after his involvement in the ISRO spy case. So, it is absurd to say that Modi is using me to target him. Why should he bring me into the picture in his fight against Modi, as my case against him did not start after I met Modi; it is 15 years old! You met Modi in September. How did the meeting happen? I received a call from somebody in the BJP, asking me if I was willing to meet Modi, who wanted to see me. I said, ‘Why not?’ I was asked to meet him at the Hotel Mascot in Thiruvananthapuram at 9.30 in the night. Did you think Sreekumar was the reason behind the meeting? That was what came to my mind first. I could only think of Sreekumar as the reason behind the call. I told him that it was because of the games played by various political parties that it was still going on. I told him that it was a false case foisted by both the coalition fronts (the Left Democratic Front and the United Democratic Front) in Kerala, as was established by the CBI. Neither coalition wanted to admit the error in their judgment, as it was a matter of prestige for both. I was not able to fight my way through, as they were both involved in it. I told Modi what the CBI had found, and what the Supreme Court’s ruling was. The CBI had asked the state government to take action against the police officers, but they sat on it without divulging what they were doing about it. When the Kerala government wanted to go ahead with the case even after that, the court quashed it with heavy strictures. I also told him about the compensation that I have demanded from the state and Union governments. In 2001, the National Human Rights Commission gave me a compensation of Rs 10 lakh (Rs 1 million) to be released with immediate effect. But I was given the amount by the state government in 2012, after 11 years. I told Modi everything about the case briefly and said I wanted justice. Was Modi knowledgeable about the case? Apparently, he was briefed well, but wanted to hear the story from me. Otherwise, why would he ask for a meeting with me? When we met, I did all the talking, while he was trying to understand why this man was fighting the mighty state and Union governments for 20 years. Did he make any comments? What did you feel after meeting him? But somebody from Gujarat showed an interest in meeting me and hearing my story. I felt great about it. If he had any political motive in meeting me, he would have done so in the public glare. But instead, he met me quietly at 9:30 pm, and he issued no press statement about the meeting. Has your opinion of Modi changed after meeting him in person? I had no special feeling for him, but I knew he was a go-getter. My only appreciation of him was Gujarat is the only state in India where prohibition is in force while every other state is dependent on the income from liquor. That shows the will power of the person and it also shows that you can run a state without selling liquor. I am also impressed with the excess power generation and the low unemployment rate in Gujarat. I feel the country will be safe in Modi’s hands. Power generation and agricultural development will flourish under him, and this in turn will lead to employment generation. I am also impressed with his thrust on manufacturing, which will help us compete with China. I think the two countries that will dominate the world in future are India and China, and his thrust on manufacturing will give us an edge over China as we are a country that has the advantage of knowing English. When the spy case broke out, you spoke of the role of the Central Intelligence Agency in the case. Why did you say so? I didn’t mention the CIA by name. I said a foreign force was involved. (Then prime minister) P V Narasimha Rao also made a statement in Parliament about this. It could be the CIA or somebody else. Just think, this spy case was initiated by a circle inspector! But it ended in the Supreme Court. You don’t see the foreign hand in the whole episode; it was invisible. That’s why I said it was a conspiracy. I was instrumental in bringing liquid propulsion systems to India. I had signed an agreement with the Russians for cryogenic technology in 1991. We were supposed to finish the entire program by 1999. But the target was achieved only in 2014. In 1993 itself, the world knew we would become a competitor in the commercial use of the technology. At that time, the Americans and the French were dominating the scene. Russia, China and Japan also were using the technology but not commercially. Our price was half of what the Americans and the French were quoting, and the business was worth $300 billion. Naturally, somebody didn’t want us to develop the technology. Do you blame the media for sensationalising the issue without proper verification? The vernacular media, starved of news, played a major role in sensationalising the case. They played into the hands of the police; they believed whatever the police said. When they realised what the truth was, they started supporting me. The funny thing was, at that time, we had not developed cryogenic technology. How can you sell a non-existent technology? They talk about us passing on the drawings. But we pass the drawings on to all the fabricators. We must have given the drawings to a thousand people. So, what’s there to pass on? There was something fishy in the whole thing. It was very traumatic. The questioning by the state police was very cruel until the CBI came into the picture. How did you cope when everyone called you a traitor? First, I was upset. I could not understand what was going on. I would never have dreamt of something like that happening to me. It was very difficult to digest when society pointed the finger at me. My wife was asked to get out of an autorickshaw because she was married to me. Even my children were targeted and they were branded a traitor’s children. So many such disgraceful incidents happened. What helped you remain sane? My staunch belief in God. I am a god-fearing person, and I go to the temple every day. In fact, my day starts by going to a temple. I believed that I would come out of this unscathed, as I had committed no crime, and I did. Today, wherever I go, people give me more respect. Perhaps they feel guilty for suspecting me of being a traitor. Modi told you it wouldn’t be like this forever. Do you expect to receive justice if he became the prime minister? I can’t predict it. Whether Modi comes to power or not, I will continue my fight in the hope that justice will be given to me. In spite of the Supreme Court and the NHRC having cleared my case, the state government is yet to close it. Local politicians are behind this. Why can’t they close the case, give me compensation, accepting gracefully that they have wronged me? Yes, I do have a hope that if Modi gets a chance to voice his opinion on this, he will do so at the appropriate time. When we met, I got the feeling that he was genuinely interested in what had happened to me. It was not necessary for him to devote his precious time to me, but he saw to it that he met me. He listened to me intently without interrupting, and he appeared disturbed upon hearing the whole story. This issue has nothing to do with Gujarat or Kerala; it is a national issue. He asked me specifically about the involvement of a foreign country. That is why I feel the country as a whole will be safe in his hands. சிவராத்திரி அன்று இரவு முழுவதும் கண் விழித்து ஸ்வாமியை தரிசித்து வழிபாடு செய்ய முடியாவிட்டால் கூட, ‘லிங்கோற்பவ’ காலமாகிய இரவு 11:30 மணி முதல் 1 மணி வரை உள்ள காலத்திலாவது சிவ தரிசனம் செய்து வழிபட வேண்டும். சிவராத்திரி தோன்றிய திருத்தலம் திருவண்ணாமலை. அதுபோல், பொய் சாட்சி சொன்ன தாழம்பூவை அது அழகும் வாசனையும் நிறைந்ததாக இருந்தாலும் அதை சிவபெருமான் விலக்கி வைத்தார் என்பதும் தெரியும். ஆனால், ‘சிவ ராத்திரியன்று ஒரு நாள் மட்டும், அதுவும் இரவுப் பொழுதில் லிங்கோற்பவ காலத் தில் தாழம்பூவால் என்னை பூஜை செய்யலாம். அலங்கரிக்கலாம்!’ என்று சிவபெருமான் சொன்னார் என்று ஒரு தகவலும் உண்டு. அதற்கு எந்த விதமான ஆதாரமும் கிடையாது. அடுத்து, லிங்க உற்பவம் மற்றும் லிங்கத்தைப் பற்றிய உண்மையைப் பார்க்கலாம். சிவபெருமான் லிங்க வடிவமாகத் தோன்றிய காலம் & லிங்கோற்பவ காலம் எனப்படுகிறது. சிவலிங்கம் பற்றிய உண்மையான விளக்கம், ஞான நூல்களில் தெளிவாக உள்ளது. சம்ஸ்கிருத மொழியிலுள்ள ஸ்காந்த புராணத்தில் பார்வதி கல்யாணத்தை விவரிக்கும் பகுதியில் லிங்கத்தைப் பற்றிய உண்மையான தகவல் இருக்கிறது. தமிழில் திரு மந்திரத்தில் சிவலிங்கத்தைப் பற்றிய உண்மையான தகவலைத் தெளிவாகச் சொல்லியிருக்கிறார் திருமூலர். Format GalleryPosted on February 27, 2014 Categories happiness is in youLeave a comment on லிங்க உற்பவம்? பிரம்மாவும் மஹாவிஷ்ணுவும், சிவபெருமானின் முடி&அடி தேடிய வரலாறு நமக்குத் தெரியும். இது நிகழ்ந்தது, மாசி மாதத் தேய்பிறை சதுர்த்தசி தினத்தன்று. அந்த நாளே சிவராத்திரி. இதை ஸ்காந்த மஹாபுராணம் கூறுகிறது. இது தவிர மற்றோர் அற்புதமான கதையும் உண்டு. பிரளய காலம் முடிந்த அன்றைய இரவு நேரத்தில் அம்பிகை உமா தேவி, நான்கு ஜாமங்களிலும் சிவ பெருமானை ஆகம முறைப்படி பூஜை செய்தார். மறு நாள் பொழுது விடிந்தது. சிவபெருமானை வணங்கிய அம்பிகை, ‘‘ஸ்வாமி! தங்களை நான் பூஜித்த இந்த இரவை, எல்லோரும் சிவராத்திரி என உங்கள் பெய ரால் அழைக்க வேண்டும். அத்து டன் சிவராத்திரி அன்று சூரிய அஸ்தமனம் முதல், மறு நாள் காலை சூரிய உதயம் வரை தேவர்கள் உட்பட எல்லோரும் உங்களை பூஜை செய்ய வேண்டும். அப்படி பூஜை செய்பவர்களுக்கு சர்வ மங்கலங்களுடன் முடிவில் முக்தியையும் தாங்கள் அருள வேண்டும்!’’ என வேண்டினார். பரமசிவனும், ‘‘அப்படியே!’’ என்று அருள் புரிந்தார். அம்பிகை பூஜை செய்த அந்த நாளே (மாசி மாதத் தேய்பிறை சதுர்த்தசி) மகா சிவராத்திரி என அழைக்கப்படுகிறது. நியதிப்படி பகல் பொழுது சிவபெருமானுக்கும், இரவுப் பொழுது அம்பிகைக்கும் உரியது. அம்பிகை, தனக்குரிய இரவுப் பொழுதை சிவபெருமான் பெயரால் வழங்கச் செய்தார். Format GalleryPosted on February 27, 2014 Categories happiness is in youLeave a comment on சிவராத்திரி வரலாறு!